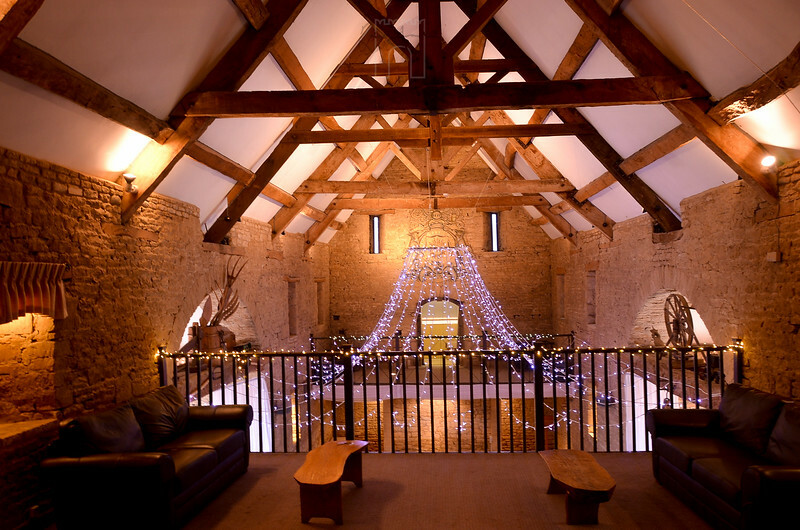 A Cotswold Tythe Barn nestled in rural Gloucestershire - could this be the perfect venue for a romantic wedding with lots of staying guests? This wedding location certainly has the wow factor! 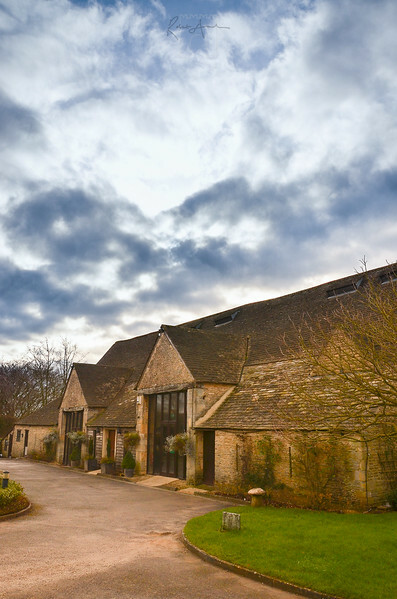 A big blue sky outside The Great Tythe Barn, Tetbury. This is an ancient building on a grand scale, with 2 sets of huge doors, through which the grain would be brought and hand- threshed in the draught that once whistled through. The sheer scale of the place is awe-inspiring! 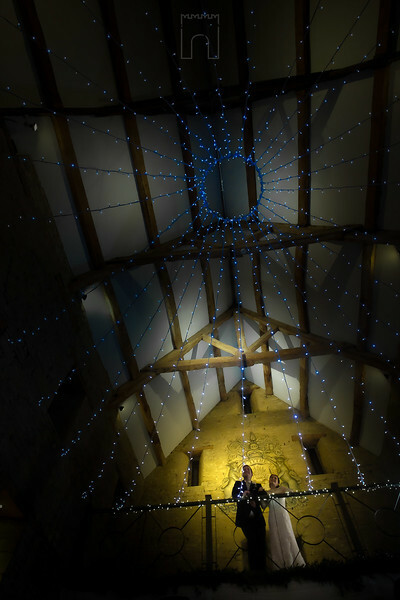 An canopy of blue stars above in the massive Tythe Barn roof give this location a truly unique feel. A journey up some steps and you are in this mezzanine space for drinks in amongst the lights and beams - out of this world! Historic locations are so often small and dark but this place is neither. 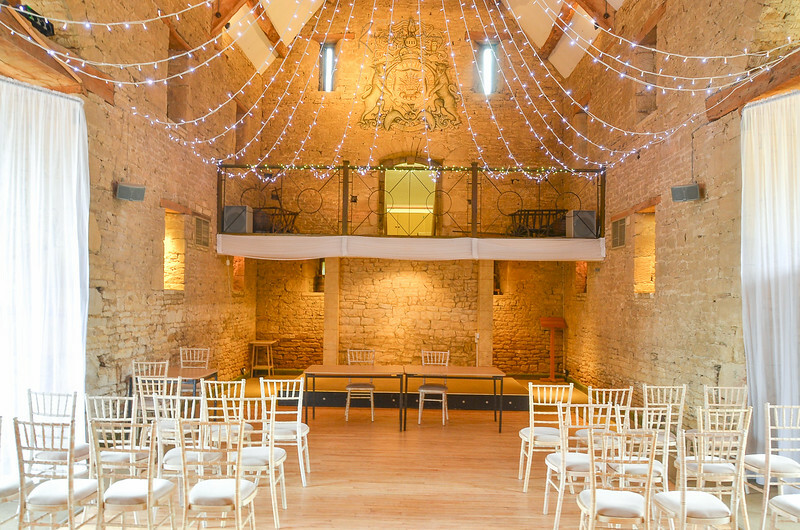 The sun shines in through the tall doors in the centre of the barn to shed lovely light on you, your ceremony and all the guests you could hope to invite. Few people realise how important it is to choose a location with lots of great backdrops for wedding photography. This place hits the mark here! Think weathered wooden barn timbering on the outside, roses trained up the stone walls and plain, rich, warm orange and red foliage colours in the autumn that these pics were taken. After the wedding and pictures the airy ceremony space becomes the place for your guests to sit at tables to enjoy their food. The reception can seat as many as 200 guests. 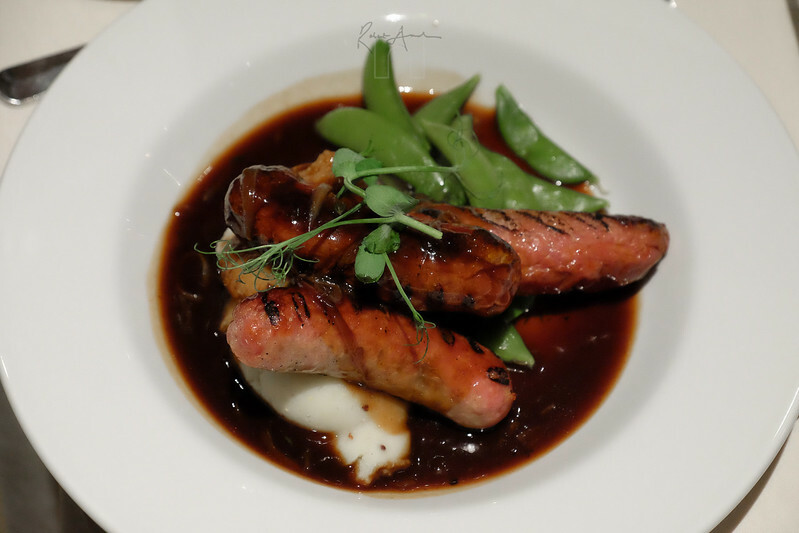 My sausages were tender, tasty and juicy and the deeply flavoured red wine jus that they were served with elevated them above gastropub fayre. Perfect filling food for a photographer who had been on his feet for nearly 10 hours. Lots of couples bring their own wine as the corkage fee is not unreasonable and I always think this can be much better value than purchasing hotel bottles which could have been marked up to triple their cost. 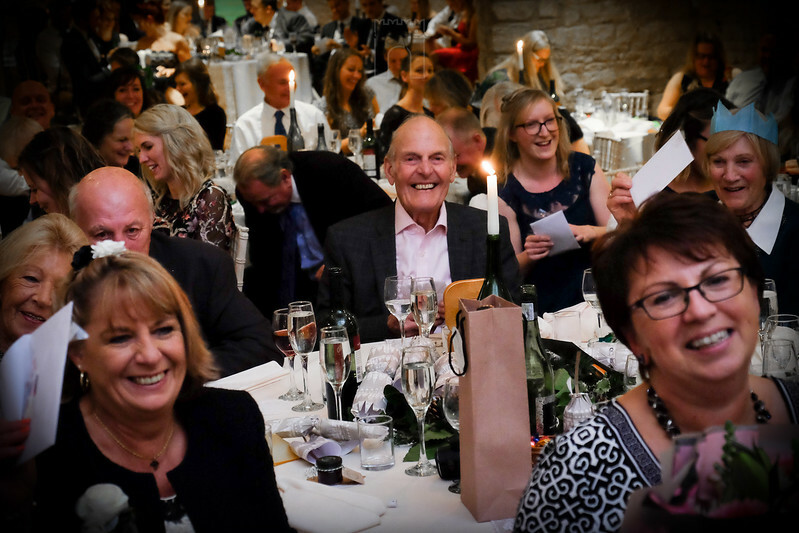 Here's a quote from a happy Great Tythe Barn bride "We left The Great Tythe Barn knowing we had chosen the best venue in the UK as far as we were concerned! Do not hestite in booking this place as your wedding venue. Its truly stunning. You will be very well looked after. To Becca and all the team we say: Thank you from the bottom of our hearts. 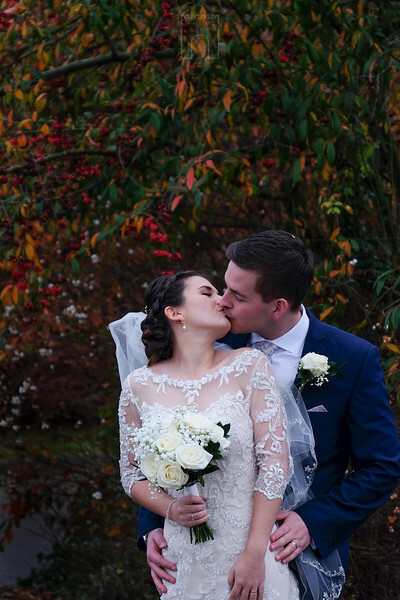 Our wedding was perfect, our guests loved it and your venue is simply stunning. Thank you." This wedding venue could very well be worth adding to your list of possible venues to visit.... it's combination of fresh country air, peace and quiet and beautiful old stone buildings make it one of my favourite spots to take photographs. It's assets make it a sought after spot for weddings, though: I just checked availability and weekends in June, July and August 2018 are booked up. Plenty of weekends left in 2019 and some weekdays in 2018(they are closed Wednesdays). Cost to hire the barn are £4750 at peak times (Saturdays , May to September) but it is significantly better value at £2000 in lower season( Sun- Thursday,Jan to March). 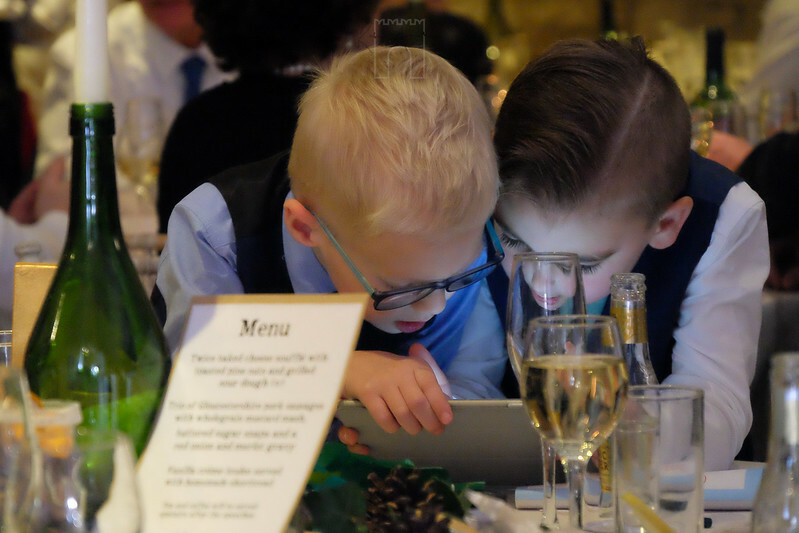 A key asset of this wedding venue is their 10 nearby stone cottages which can accommodate upto 48 of your guests - very useful if they have travelled from far and wide. Also great if you want to stay the night before to rule out nerves due to traffic jams and late arrivals on the day.